Blog > Competitions > Three new competitions with great prizes! Three new competitions with great prizes! To get ready for autumn, LoveKnitting is hosting three exciting competitions that are sure to get your needles moving! Show off your most-loved knits! Each week between now and November 24th, someone will win £50/$50 to spend on LoveKnitting.com, simply for sharing a project that you’re proud of. It could be anything, just make sure your project has the HotTag “MyProudestAchievement,” a photograph, and specifies the yarn you’ve used. We want to see your spookiest stitches for this Halloween-themed contest. If you have any patterns with pumpkins, bats, witches or goblins, this competition is for you! Use the HotTag “Halloween” to win a giant stash of yarn. The winner will be picked on (when else?) Halloween! Do you use circular needles or straight needles? Simply upload a great project and let us know which needles you use by using either the “SassyCircular” or “GreatStraights” HotTag, and we’ll give you 15% off the most popular needle type on October 5th! Upload your projects from now until September 30th. If you haven’t already created a Community account, come and join in! Sharing projects is a great way to connect with fellow knitters and crocheters, by favouriting projects, commenting and following each other. Find out how to upload a project here. “What is a HotTag? !” I hear you cry. A HotTag is a specially created hashtag on our page. To enter any or all of the competitions, all you have to do is upload a Project on LoveKnitting and select the appropriate HotTag on the first page of the upload: you must include a photograph and specify the yarn that you have used. Winners will be announced in our newsletter and contacted by email with details of their prize. 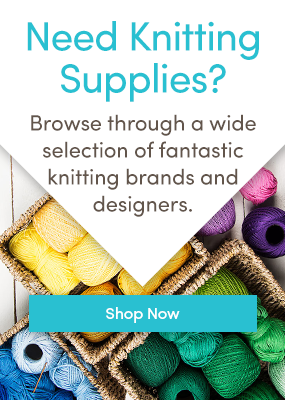 Not sure how to upload a Project on LoveKnitting? Click here to check out our guided tutorial. 17 Responses to Three new competitions with great prizes! Do you have the witch pattern that is posted on your todays email? I searched the patterns for “witch” and it came up for $4 for the PDF file. I love the little witch shown …where do I find the pattern?? Where can I find the little witch pattern? Would love the little witch pattern also. For anyone looking for the pattern to the witches in the email search for Waldorf Halloween Witches. I’m interested in the partially finished sock shown above in black/ white/ coppery brown. Has a diamond pattern going down the leg. Anyone know where the pattern is? Did you find the sock pattern? I too love those socks. I love the winners “Owl knitted pillow” I would like the pattern location please. I’m also a quilter and plan to make a pillow with scrap material as well. I love the knitted jumper! Where can the pattern be purchased? I’m afraid I’m not sure which jumper you are referring to. We haven’t featured a jumper in this post, was it perhaps a different blog post you were referring to? Go to any urban ghetto in the United States and then tell me about how the â€st-ateœsponsoredâ€ schools are not segregated. Repeat for those who didn’t hear it the first time. This was outlawed in the US in the middle of the last century.